All games can be downloaded from this site. Extract files to the same directory as the "RomPlayer.exe" file, and this program will detect and install them for use in the application. Fruits Connect - Link Fruits is a simple addictive puzzle game.Connect matching colors with flow lines. Pair all colors, and cover the entire board to solve each puzzle. But watch out, lines will break if they cross or overlap! Operation Ubersoldat - WW2 first person shooter. In the beginning of World War 2 German Special research unit begins development of the Ubersoldat - a super soldier with powerful capabilities. HMS Diptera - Sci-fi first person shooter. Whilst beginning your normal patrol route on the HMS Diptera a radiation wave hits the ship and strange things start to get uncovered... You play as John Reid, just another security guard placed on the night shift. 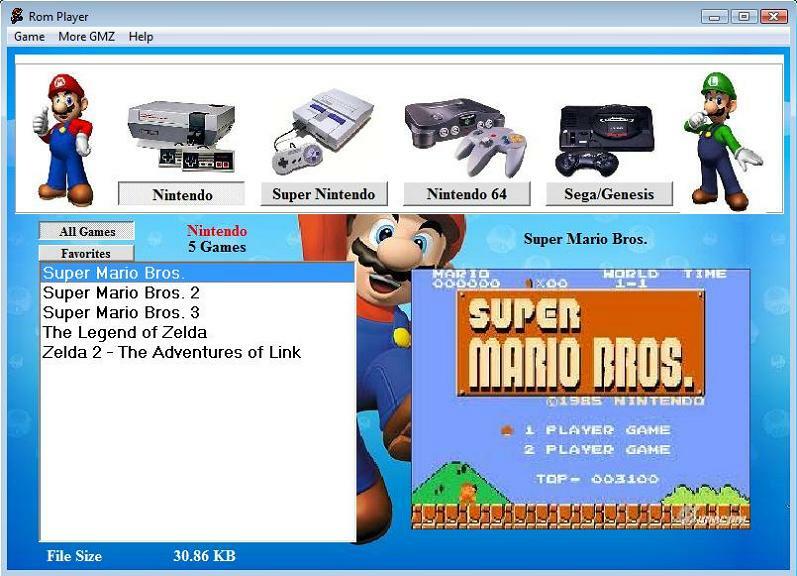 JP's Rom Player - Play Nintendo, Super Nintendo, Nintendo 64, and Sega-Genesis on windows. These are original games you can play on your PC. The free download has 20 games in all. Download 3340 more games for this software from our site. Flappy Defense - Download Flappy Defense today for FREE! Destroy Birds by shooting off cannonballs from your customizable pipe. Dont let a single one through or youll be set back! Defeating bosses loots you diamonds to purchase powerful Items at your side.